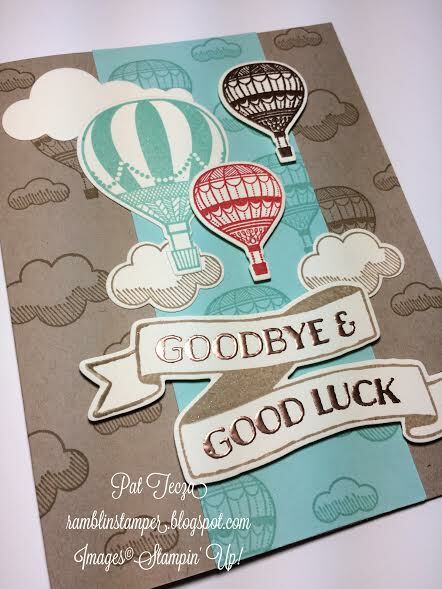 Here's a card I designed to tell some very special friends that I'll be missing them when they leave! It's a little different twist on the Lift Me Up Bundle. 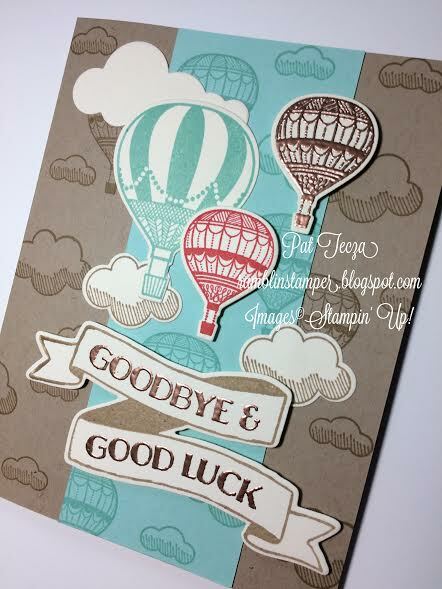 I knew that I wanted to use "Goodbye & Good Luck" from Banners For You, and I thought that the hot air balloons floating away would be the perfect image to pair with it. My colors are Crumb Cake, Pool Party, Very Vanilla, and Watermelon Wonder. If you read my blog, you know that Pool Party is one of my go-to colors. It looks great with almost anything! 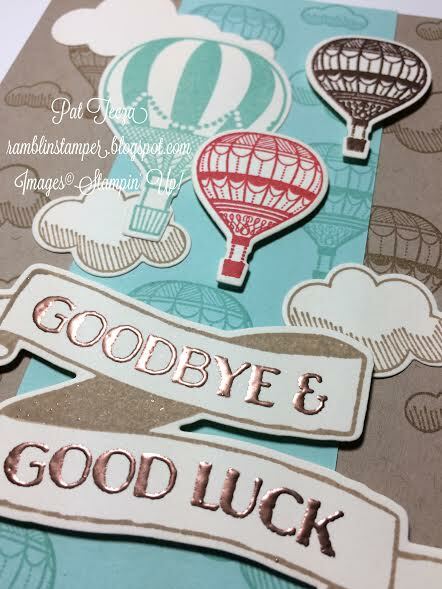 The Goodbye & Good Luck is stamped with Versamark and embossed with Copper Embossing Powder. The banner was die-cut with the Bunch of Banners Framelits Dies. Banners For You and Bunch of Banners are available together as a bundle (save 10%)! 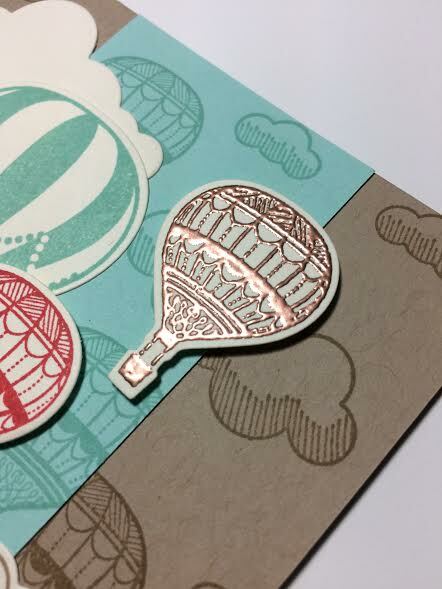 One of the smaller balloons was embossed with copper, also - love how it melts so smooth and shiny! I hope my friends like this card. If you know anyone who is leaving the neighborhood, leaving the office, or maybe (best of all!) retiring, this would make a heartfelt keepsake that would be a reminder of the friendship you share.